Beomeosa was an incredible place to visit and I took a ton of photographs while I was there. Unfortunately, a funny thing happened on the ferry ride back to Osaka and I managed to misplace the bag that I was carrying my film in. Aside from the few shots that were still in the camera, I lost every last bit of film that I took on my trip to Korea. Luckily, I had my Ricoh GRD2 with me as well, so at least I was able to bring a few images back from my trip. Although Korea had been a Buddhist country for more than 1600 years, there are few people who can find it interesting to look around ancient temples. This title helps children as well as adults to understand Korean culture and history through various Buddhistic heritages. The author Park Sang-yong guides readers to a temple, from the First Gate to mural paintings. As an expert in Korean culture, he easily explains the meaning of each gate until reaching a main building with Buddhistic statues, history of pagodas, stupas and so on. 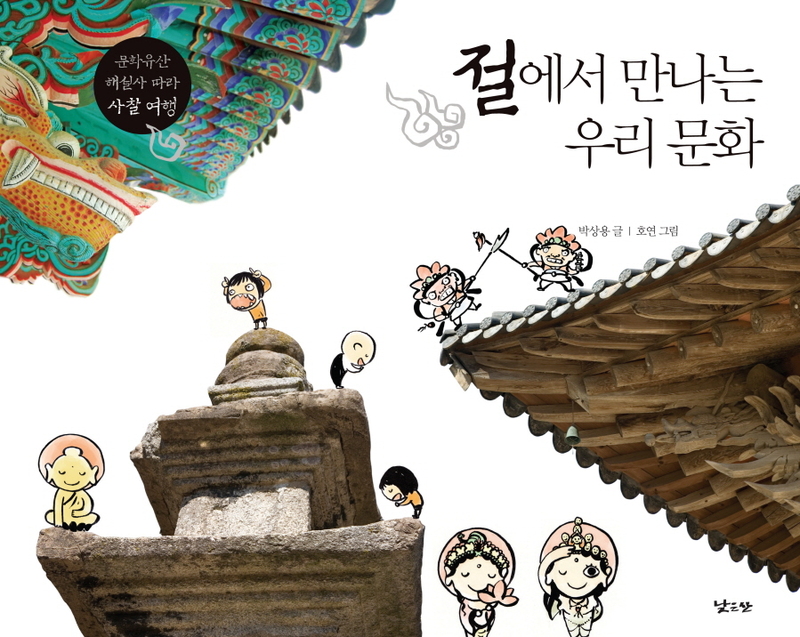 Splendid photos of Korean temples attract the attention, with cute cartoon images that go along with them. You can find out more about this fantastic book here (as long as you can read Korean), and have a bit more of a glimpse at what’s inside the covers. And if you click here you can view the full set of those photos of mine that somehow actually did manage to find their way out of Korea. And how lucky I was to find your Beomeosa Temple photos, even though most of them disappeared! Hope that Korean children also like your heavenly guardians, with humorous faces. Soojin — I’m happy that I was able to return from Korea with a few photos that were nice enough to make it into Meeting Korean Traditional Culture at Temples. It’s a wonderful book.